Electrolytes are neither produced nor consumed by the body. The kidneys are responsible for maintaining the equilibrium of all of the electrolytes (such as sodium, potassium, magnesium and phosphorus). To maintain this balance, any excess electrolytes are excreted in the urine. 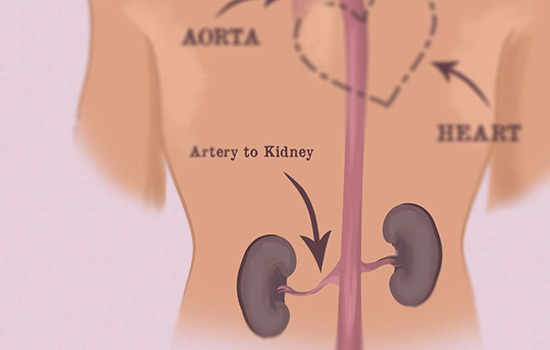 How does the kidney clean the blood and make urine? A single function unit of the kidney is called a Nephron (just like a single functional unit in our brain is a neuron) that are made up of specialized cells. There are approximately 1 million nephrons in each kidney. Each nephron has 2 main parts that partake in the formation of urine: the Glomerulus (filter) and the Tubule. Step 1 The glomerulus receives circulated blood and acts as a filter. Water, electrolytes and urea pass through but large proteins such as albumin are blocked. Step 2 The tubule then reabsorbs the water and electrolytes your body needs. Excess water and electrolytes are eliminated and passes as urine. Healthy kidneys with a normal filtration rate will adjust the elimination of water and electrolytes.